Ensure you have good footwear for the walk to the beach and a carrier for your kids (if they are at that age) as it is not pram (stroller) accessible. Also, you might want to pack yourself a picnic lunch to enjoy on the castle grounds. You need to pay for parking practically everywhere in the U.K. Barafundle Bay Beach is in the National Park and costs £5. The castle parking is at a pay meter and costs roughly £1/hour. Make sure you have cash or coins to pay for parking. Wales can be quite wet and rainy. 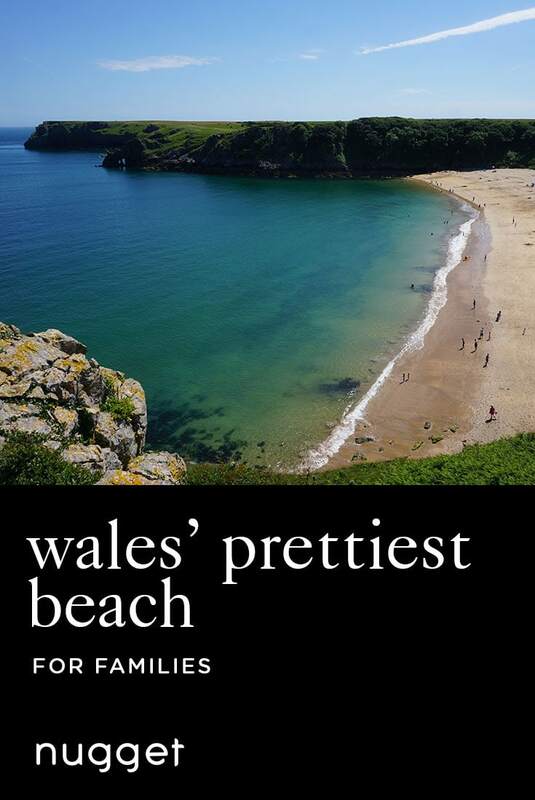 Be sure to choose a sunny day to get the best out of Barafundle Bay Beach and Pembroke Castle. Also, try to time the day to enjoy a picnic lunch on the castle grounds. There are lovely grassy areas to sit and relax. Whether you do the beach before or after visiting Pembroke Castle, this is up to you. Summer would be the best time of year to enjoy this mini-adventure. With the castle and beach only 10 minutes apart, this family-friendly day trip itinerary can be done in either order. Barafundle Bay Beach is simply stunning and well worth the walk along this Welsh coastline, even if you aren't planning on swimming. You will get amazing photos! Right by the Pembroke River, Pembroke Castle is also picturesque. The castle grounds are perfect for a scenic picnic. And your kids will love playing hide-and-seek around the castle or playing on the castle’s gigantic painted floor map. You decide which location is more stunning - Beach or castle?! Barafundle Bay Beach is one of the best beaches we have ever been to as a family (which is saying quite a lot, since this is coming from an Australian family) and certainly one of the best Wales beaches. We loved the clear waters, the clean sand, the bush surroundings, and best of all, the secluded nature of it (even though it is quite popular, it still feels secluded during your visit). The water itself is quite cool, so we didn't fully submerge for a swim. Our kids loved playing in the sand and splashing in the shallows instead. DIRECTIONS Park at the beach’s designated parking next to The Boathouse Cafe. From here, it is a 15-minute walk to the beach, following along the coastline. Be sure to take the stairs, up to the right, immediately after the cafe. From here, simply follow the trail, and the stunning bay will appear before too long. TIP The walk to the Barafundle Bay Beach will take about 15-20 minutes, so make sure you are prepared for this long walk. There are also quite a number of stairs down to the beach, but it is worth it! Pembroke Castle is a picturesque castle situated on Pembroke River that has been standing for almost 1000 years. It is relatively small inside, but has lovely grassy areas to sit, plenty of information scattered throughout, and funnily enough, it is home to the largest painting in Britain - a huge floor map! Our kids loved running through the grassy grounds and playing hide-and-seek at the castle. DIRECTIONS From Barafundle Bay Beach, it is just a 10-minute drive to Pembroke Castle. The best parking for the castle can be found on Common Road, Pembroke (just be sure to bring cash and coins for the meter). 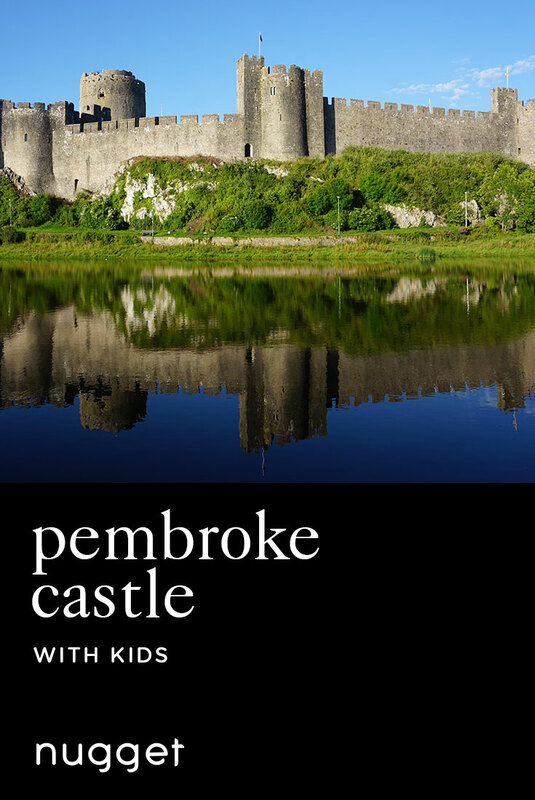 TIP Bring a picnic lunch to fully appreciate Pembroke Castle as you sit down and relax over a meal.